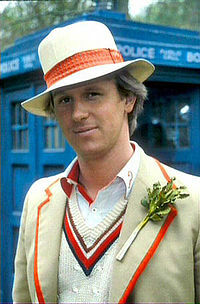 Fifth Doctor Peter Davison doubts his involvement with the anniversary special. "I don't think it will involve the older Doctors, certainly in their present form, because of course we're meant to look exactly as we did when we left the TARDIS and none of us really do." "I think we'll be featured somewhere but I should think it's probably footage lifted from older Doctor stories." It seems as though no one really knows what's going on when it comes to the 50th... or do they?